A couple years ago my friend Cydney called to ask me a difficult question. It was a question about piano teaching and kids, the sort of thing I can talk about until my tongue falls out of my head, but this question stumped me. You see, Cydney is a scientist. She’s a very logical and rational person who thinks there is straight path from here to anywhere. So, when her kids got to grade school, she figured it would be easy to find them a piano teacher. She’s used to reading resumes of PhD’s and post docs, so many years at this lab, so many publications authored, so many patents received, etc. But how was she to evaluate a piano teacher? Piano teachers don’t do research, we usually don’t publish, we usually don’t have advanced degrees, we aren’t part of a network that a scientist can tap into. When Cydney started looking at piano teachers, she was overwhelmed. It was all so murky and indirect. There was no agreed-upon criteria for rating piano teachers. Did you rate them highly because their students win contests? Do you rate them on the basis of where their (usually undergraduate) degrees are from? Who they studied with? What grades they got in Counterpoint 310? What kind of piano they had? Where they lived? How old they were? Some used only one method with every student. Some had stringent practice requirements. Some demanded recitals and group lessons. Some struck her as wishy-washy and vague. She called me from Washington, D.C. in a panic: How ever could she pick a piano teacher for her kids? Unfortunately Washington is several time-zones and a few thousand miles away from here, or we could have cut the conversation short and put her terribly cute kids on my schedule every Tuesday afternoon. End of problem. I know I could teach her kids, even though one of them is a little autistic and the other has a big problem sitting still for more than a nano-second. I know how to teach kids like that and I know what Cydney is after: a good musical experience, basic skills, a sound foundation that won’t hold them back, someone who can take them as far and as fast as they want to go, lots of success, happy kids going into the lesson and happy kids coming out. But how could she find someone like me in Washington D.C.? I really didn’t have a decent answer for her at first. How do you pick a piano teacher? How do you tell your friend how to pick a piano teacher? I know how I picked a drum teacher for my kids, but I have lots of experience with music teachers. I knew my kids, I knew lots of teachers, I picked the one that I figured had the best shot at getting them playing and keeping them playing. But how did I make that choice? In biology there is a phrase: a feeling for the organism. 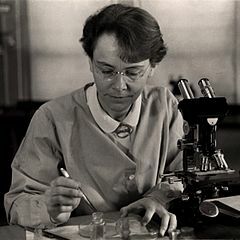 Barbara McClintock, whose work on corn genetics and gene regulation brought her a Nobel prize, used it as the title for her autobiography. It was her feeling for corn in its wonderful variety and her deep study of its genetic behavior that convinced her that genes were being turned off and on and modified even though such ideas were against current genetic dogma. She was reviled and ignored for 30 years but persevered anyway. A person who has a feeling for the organism has an intuitive grasp of how that organism behaves, what makes it tick, how it will respond. If you are looking for someone to work on root rot fungi or orangutans or corn, you look for the person who has a feeling for that particular organism and a fascination with all its mysteries. If you want to hire someone to work on corn genetics, you look for a person who eats, breathes, sleeps, dreams and talks corn genetics. You don’t hire the lima bean guy with the 3-mile long resume and impeccable credentials, unless he admits to a life-long yearning to get out of beans and into corn. But you also don’t hire the corn lady with the long resume if she thinks she already understands everything about corn and genetics. If Barbara McClintock had thought that way, she would have ignored her data that showed corn was violating the genetic rules. She would have ignored what seemed to be wrong results rather than being intrigued by wonderful, unexplained behavior. Instead of making profound discoveries about genetics she would have been a hack scientist with a nice CV and a retirement fund. Cydney knows about these people. She knows the difference between the bean guy whose eyes light up when you mention corn to him and the corn lady who can’t wait to get out of the office and get on with her real life. And, like me, she is a life-long fan of Barbara McClintock. So she got it when I called back a few days later and said, “You need someone who has a feeling for the organism. Look for someone who is just nuts about teaching music to kids. Not someone who is looking for contest winners or perfect behavior or moms with 20 hours a week to spend supervising practice, although those people can be just fine. What you need first of all is someone with a feeling for those organisms which are your kids. Go for the person who looks even more interested when you tell them about the autism and ADHD. Pick the person who is curious and loves a challenge. And pick the one who thinks teaching music to your kids sounds like a blast”. 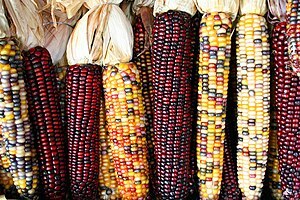 I was pretty proud of myself for making the connection between corn genetics and Barbara McClintock and piano teachers. It was a great moment when I taught a biologist how to navigate the murky world of humans and education. After all, we are the most interesting and complex organism on the planet. Cydney picked a dynamite teacher for her kids. It took some work to find the right person. But the kids are playing up a storm and everyone is pleased. Only trouble is, I’m not real sure how to answer this question if someone who isn’t a biologist asks it. Any ideas out there? What a great way to compare two totally opposite things – Scientists and Piano Teachers! But then other days, he makes dozens of mistakes and doesn’t have a care in the world. So it’s definitely the aspergers that is causing this behavior. I know this kid. I have taught several like him. Often, they love details and love to have them perfect. It is like constructing music out of Legos. Fascinating, compelling and a good work-out for the teacher’s tolerance and flexibility. You are currently reading How to choose a piano teacher at Piano Connections: The Studio of Megan Hughes.